THANK YOU IN ADVANTAGE FOR VISITING OUR WEBSITE: A LOT HAS BEEN DONE, BUT THERE IS STILL SO MUCH TO DO! 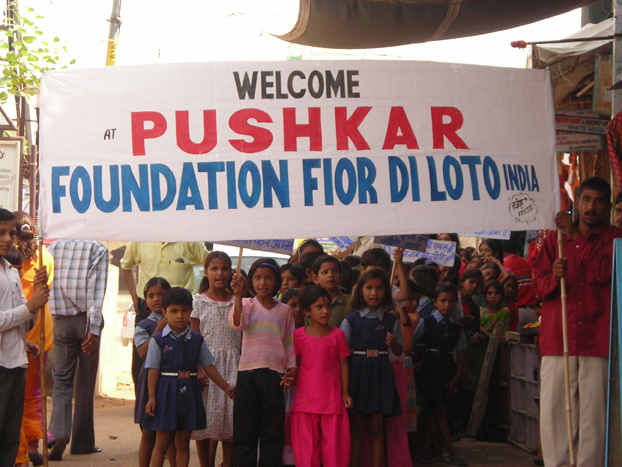 We are a charitable tax free foundation mainly focused in providing an education and improving the life conditions of more than 700 poor girls living in the villages surrounding Pushkar, state of Rajasthan in northwest India. Moreover we work daily to help the most disadvantaged part of the local community by giving, for example, economical support to elderly people, widows and needy families , medical assistance to sick persons, building water wells, and, in general, doing our best holding out a helping hand to those who need it. Thank you in advance for visiting our website that a lot has been done so far but there is still so much to do!